characterized by the “garland” of cones, pomegranates, or palmettes surrounding its crown and/or trunk. 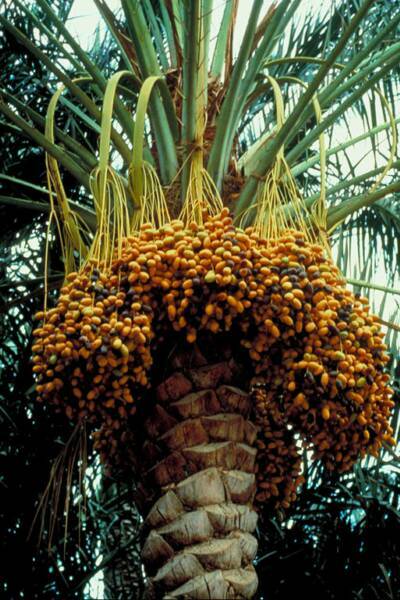 I suggest that the pomegranates designate that species and the palmettes designate a palm tree." The master key to ancient original Kabbalah revealed at last: The Tree of Life is a family tree from ancient Iraq. This is the first complete book about the Babylonian Kabbalah, which many people are talking about on the Internet. 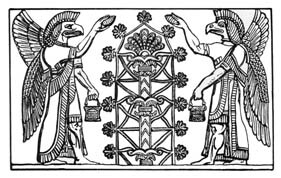 Assyria in Northern Iraq is the home of Palace Art from the Courts of the Assyrian Empire, where the Tree of Life was routinely shown on walls, tended by winged genies. It represented the King and the Land. It is also arguably a spiritual map and the basis of the Jewish Kabbalah, which was developed later. 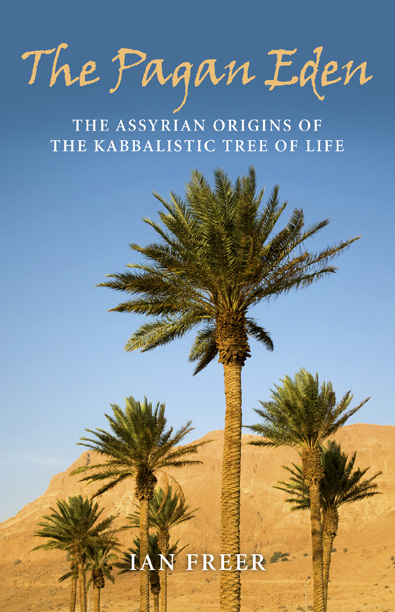 Many authors have asserted that the Kabbalah came from Egypt but this book shows that its early roots lie in Assyrian Court Art. There are also fascinating parallels to Asiatic Shamanism. All points to Asia, not Africa, as the home of the archetypal Sacred Tree image.